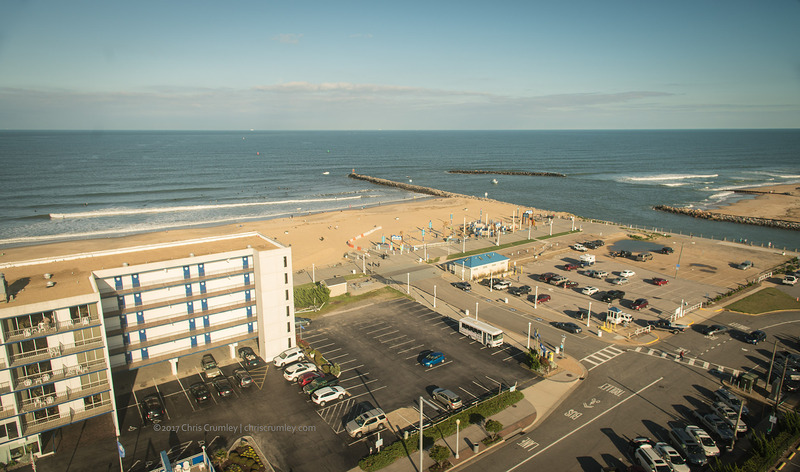 I was shooting the progress of the Inlet House demolition at the Virginia Beach Loop (near Waterman's and 5th Street) and turned "Big Bird" toward Rudee Inlet, the Grom Park and the surfers by the rock jetty at the inlet. There's a nice open space now for flying from the demolition site to the inlet. Tech: Drone Aerial; DJI Matrice 600 (6 motor)/RoninMX Gimbal/Sony a7RII w/Canon 20mm w/8-stop variable ND w/DJI Remote Focus at about 100' AGL.